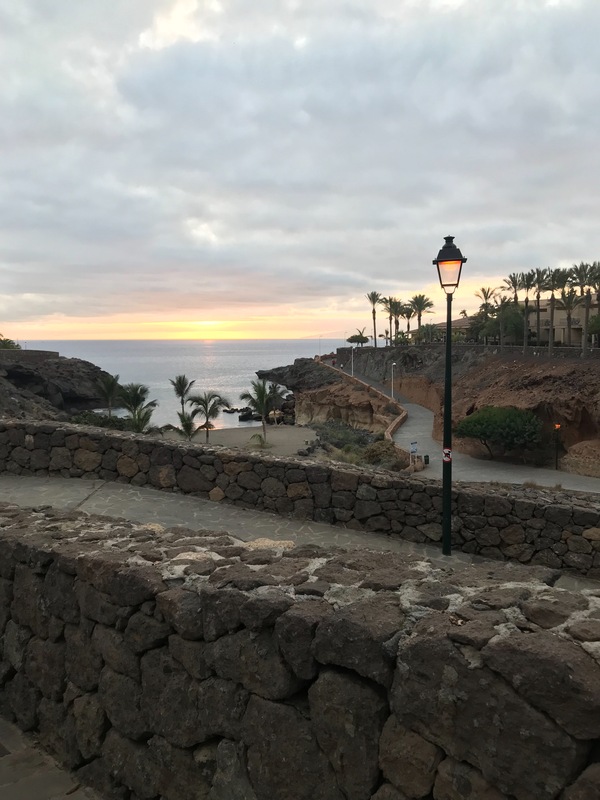 Renowned for it's upmarket hotels, luxurious sandy beaches and winding costal walks that spiral around the cliffs, Costa Adeje is the perfect destination for the discerning jet-setter. Sunny all year round and still within close reach of the UK, it has steadily increased in popularity and as a result, just last year the Hard Rock group decided to open a five-star hotel in the region. And yet, despite it's swelling 'in vogue' reputation, the area still has the essence of feeling like un untapped, largely undiscovered secret. The perfect balance of tourist attractions, local activities and cuisine, black sandy coves and quiet costal paths. The area has an abundant of activity offerings for all different types of visitors. Admittedly, we were pretty lazy during our stay - as we largely sat by the pool and caught up on long-overdue girly chats, but you can be more adventurous than we were, if you so wish. There's the variety of costal walks on offer, with palm-tree lined paths winding and spiralling up the cliff-face, with stunning views over the ocean. Be sure to head here at sunset for the ultimate Instagram opportunity. Then there's Siam Park, voted the world's best water park on Tripadvisor, which is a mere 15 minutes away by taxi. You could organise a private yoga class on one of the sandy beaches if you're an early riser. Or you could take an off-road tour like a buggy safari, which takes you through the various green plantations of the region and up towards the volcanoes. For something a touch more romantic, you could book a 'Teide by Night' experience, which takes you up to stargaze in the landscapes of the Mount Teide National Park, with a glass of cava in hand. The Costa Adeje region has no shortage of upmarket resorts, hotels and villas - however everything feels quite exclusive and private, so regardless of where you choose to stay - you're guaranteed to have a relaxing break to really recharge your batteries. We stayed at the newly opened Hard Rock Hotel, which I can highly recommend from all aspects. The rooms are large, spacious and luxurious - each with an expansive balcony that commands views across the bay. Despite having already been opened a year, everything feels very brand new and pristine. Almost like every detail has been perfected, preened and noted. The hotel itself actually glitters at night - with thousands of teeny tiny LED lights embedded into each balcony, sparkling at sunset and illuminating the building at night. 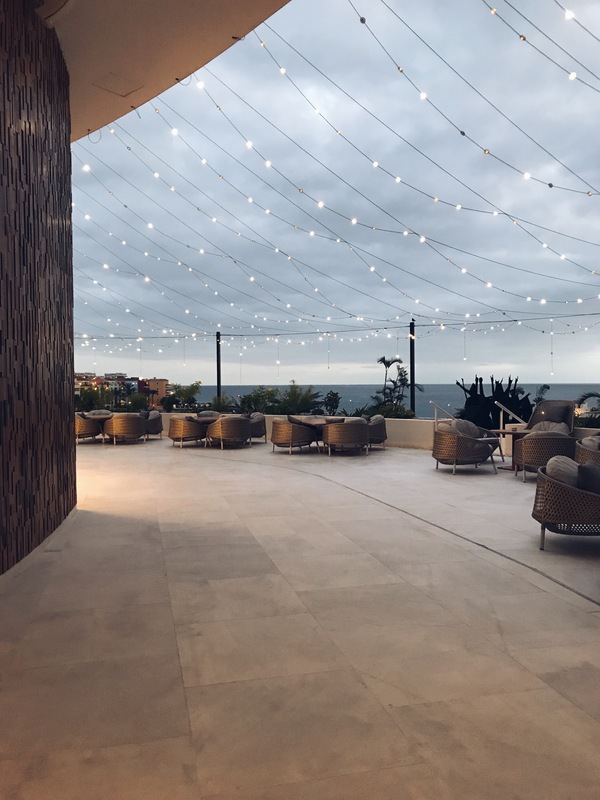 There are three pools, a beach club and a huge number of restaurants to choose from on-site, so if you are so inclined, you don't even have to leave the resort. 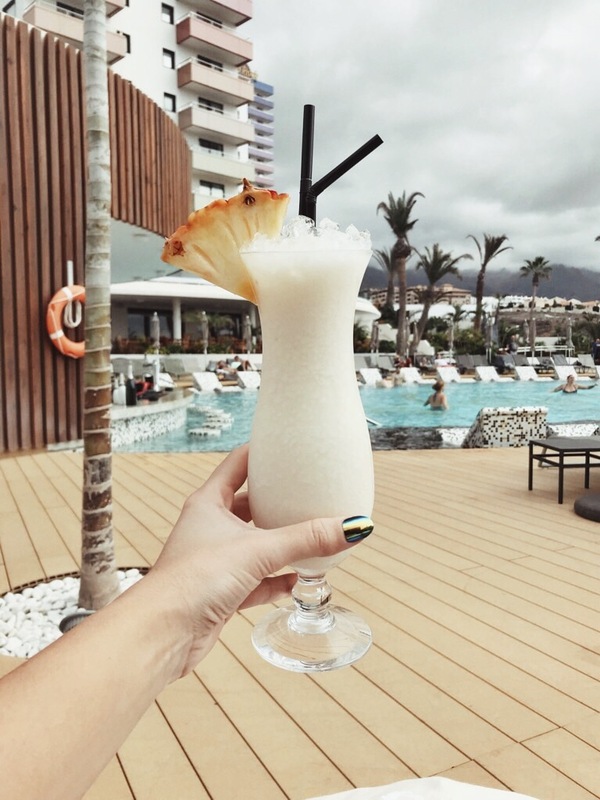 The rooftop bar is quite an extravagant, snazzy display of decor - with fire lanterns warming up the circular seats and beds, perfect for lazing back on to enjoy your Pina Colada. Usually luxury hotels cater for one type of holidayer specifically - either the family trip or the couples, romantic break. However in all honesty, the Hard Rock provides that something special for everyone. Families can enjoy the relaxed, child-friendly environment, complete with slides, pools, fountains and activities for children. Couples can indulge in a romantic retreat for two at the in-house spa, before enjoying a beautiful meal at one of the luxury restaurants. And friends and party-goers can relax by the pool, listening to the variety of music blaring through the speakers throughout the day, or even book during the summer months where the live performance area offers music and gigs. Or you can relax at the beach club, indulge at the breakfast buffet (complete with fresh juices, a chocolate fountain and a taco bar - er yes, I did just say there's tacos for breakfast!). And if you're stuck for what to do, you can always ask for the help of a friendly staff member - each of whom have their favourite rock star or performer emblazoned on their staff badge. There was even an Elvis lookalike/impersonator (complete with wry, side smile and groovy walk) who worked at the concierge desk, who admitted his fave was the man himself! And possibly my favourite little detail of all? Once you arrive at the hotel, you essentially become hands-free. You can lock away your purse in the room's safe - as your Hard Rock bracelet becomes your room key, your credit card and your bar tab. 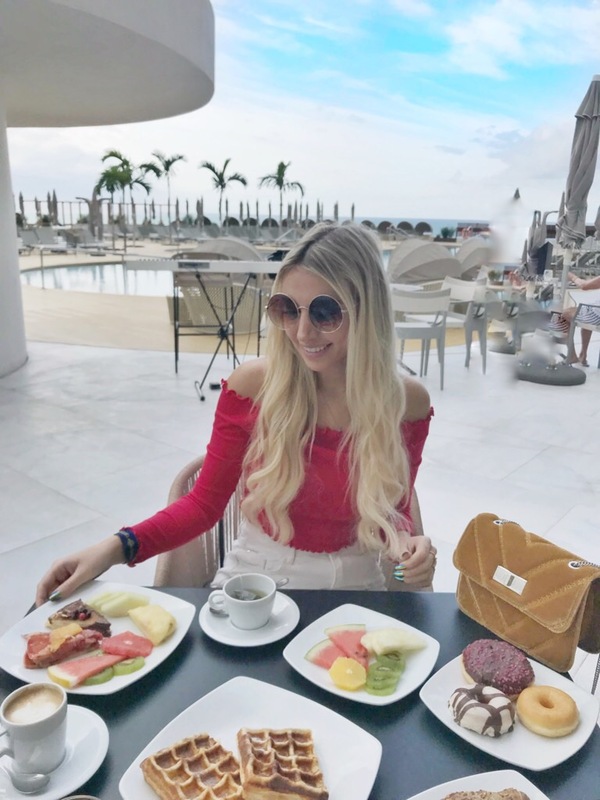 Eating, as much as it's a hobby of mine, is something I really struggle with when travelling to new places, as I have a variety of intolerances to accommodate. Sometimes you can get super lucky and find it easy to find options that suit my dairy-free/egg-free eating, and sometimes, it goes totally the other way. Luckily, in the Costa Adeje region, where fresh fish, meat and vegetables are served in abundance, we had little struggle. The hotel were extremely helpful in offering us options to suit. A red thai curry was made without butter, a chef at breakfast made us soya milk french toast as a special treat - and lunchtime consisted of huge platters of guacamole, hummus, vegetable sticks, fries and pitta breads. We didn't go hungry, put it that way. But if you are looking to venture out of the hotel and explore the region itself, the independent restaurant offerings are also plentiful. As you'll see in my vlog, we discovered a gorgeous little family-run place called 'Titanic Pizza', just around the corner from where we were staying. They made fresh pizza (in deep pan or thin and crispy varieties) which they tweaked to make sure we could eat it. The menu is clearly labelled with all of the allergens and they are very eager to help and make your experience as enjoyable as possible. 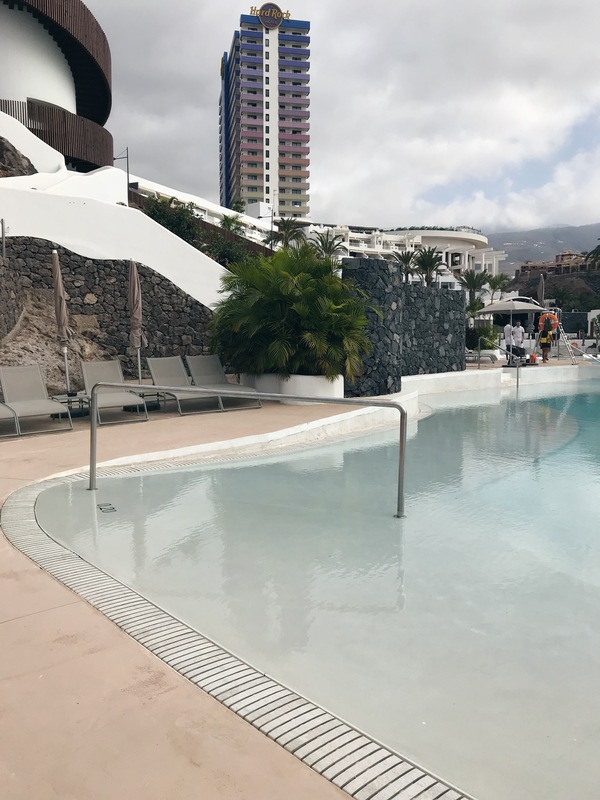 As mentioned, Tenerife is very accessible from the UK - however it's usually more cost effective to book a package holiday, which will include your flights, transfers and hotels. Personally, I've found this is the best way to get the very best deal and avoid being over-charged for things over and over. 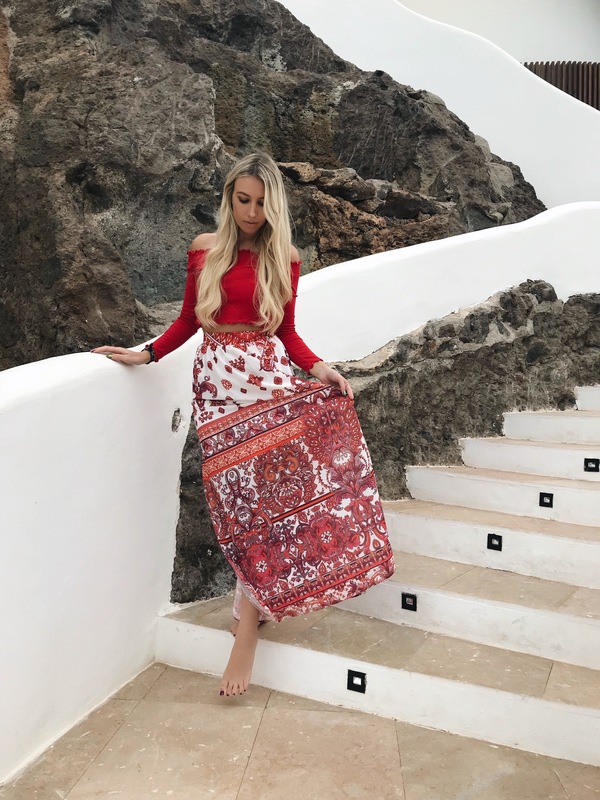 Jet2 were our package holiday provider of choice - and as a recent discovery of mine, I can whole-heartedly say that I 100% recommend their services. Not only do they set themselves apart from other package providers by offering 22kg of included check-in luggage with every ticket (gone are the days of having to pay an extra £40 each way for 15-20kg of checked baggage), super low fares and really easy flight times, but they also have a the most wonderful smiley, friendly, welcoming ethos that sets the perfect tone for your holiday. They also have a number of additional services which are a bit of a luxury bonus, such as in-flight champagne that you can pre-book so that you can relax and unwind once you board. Or a variety of transfer options including private, coach and minibus - to suit your needs. Or the additional luggage collection service at the hotels in Tenerife, where Jet2 actually come and pick up your bags from the hotel so all you have to do is get yourself to the airport and they'll do the rest. Jet2 offer really convenient flight times (so no more getting up MEGA early to catch a bleary-eyed 5am flight) and they're super affordable. Costa Adeje, and the whole island of Tenerife, has the benefit of enjoying year round sunshine, so make sure you pack lightweight, cool items of clothing for optimum comfort. Luckily, Jet2 accommodate for over-packers with their generous 22kg luggage allowance, but if you do like to travel light - I'd recommend a few evening dresses, denim shorts, bikinis, easy-to-wear mix and match t-shirts and a comfy pair of shoes. It can get a little breezier in the evenings though (even during the height of summer when I've visited before), so pack a light jacket to make sure you're not shivering with your nightcap! Have you been to Costa Adeje and would you go back? Do you have any recommendations for those looking to visit in the future? My trip to Costa Adeje was kindly covered by Jet2 however all words and experiences are my own.